North Coast Sea Tours offers boat trips, leaving from the picturesque fishing hamlet of Kylesku. They provide guided coastal boat tours to uninhabited islands, offering you the chance to see wildlife in their natural environment. 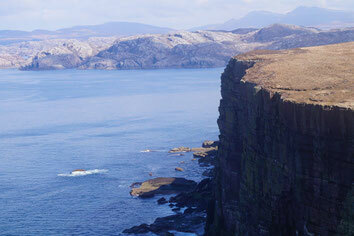 Examples of the tours are: Handa Island, Cape Wrath or a Wildlife Spotting Tour. Take a look at their website for detailed information. Download the leaflet of North Coast Sea Tours.